What’s needed now is long-term messaging at a short summit. The problem is not that the U.S. and China don’t understand each other; we understand all too well that our histories, values, fears, and ambitions render some of our core interests incompatible. No one expects a brief summit to alter this dynamic. 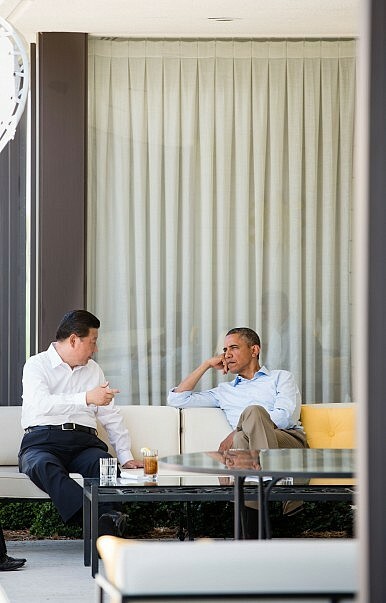 Even if their meetings bring progress in individual issue areas, Obama and Xi can’t change the fact that the United States and China are now long-term strategic competitors. Their goal, therefore, should be to set an inevitable competition on a sustainable course. Sustainable strategic competition legitimizes both nations’ efforts to maximize their interests within the framework of international law. But it also requires that neither seek final victory, as the pursuit of that goal would have catastrophic results. Sustainability therefore requires restraint on both sides, and this can be achieved if both nations’ minimal security requirements are met and if they have a high degree of clarity about each other’s intentions and capabilities. A sustainable competition framework would encourage the U.S. and China to compete and cooperate shaping the international environment —to aim for an acceptable record of wins, losses, and ties in a season that has no ending, no ultimate champion, no total defeat. Striving for sustainability rather than dominance permits national leaders to limit confrontation and promote collaboration whenever possible and buys time for attitudes in both countries to evolve. At the summit, Obama and Xi can set this course by balancing the corrosive perceptions each man’s government has helped create. Xi’s campaign against Western values has convinced many Chinese that American universities, business practices, NGOs, and media are innately harmful to China. Obama’s repeated warnings that China mustn’t be allowed to make rules for the 21st century (and Republican presidential candidates’ use of China as a campaign bludgeon) tell Americans that China has nothing of value to offer the rest of the world. Offense has been given and taken on both sides. To counter the belief that the U.S. is determined to thwart China’s rise at all costs, Obama can signal American openness to the PRC as a founder of organizations, shaper of norms, and provider of public goods. He can achieve this by saying that if China’s “One Belt, One Road” initiative is governed in a transparent manner and upholds high standards of environmental and human rights protection, it can make a historic contribution to the development of Eurasia. A conditional compliment to Xi’s highest diplomatic priority would be welcomed by ordinary Chinese as well as policy elites. Xi can begin to reverse the impression that he is abandoning China’s policies of reform, openness, and peaceful coexistence simply by acknowledging that through trade, cultural and academic channels, cooperation in science and technology, and people-to-people interactions, the United States has made an essential contribution to China’s modernization. Such a statement would encourage Americans who still believe in constructive engagement with China despite the obstacles Beijing places in their paths. These statements require no commitment or compromise of principle. They don’t preclude frank discussion of hard issues; they are essential to creating an atmosphere in which such discussion can bear fruit. Such statements would also signal bureaucracies and opinion makers in both countries that name-calling must yield to the patient work of diplomacy after the summit concludes. U.S. and Chinese leaders can manage sustained strategic competition even if they don’t wholly trust each other. They can’t do so if they commit to a policy of dominance, if they believe each other to be irrational, or if they persist in demonizing each other for domestic political reasons. The needed quality is what the Chinese call 讲道理 or speaking sense. If Obama and Xi use this round of meetings to speak sensibly, the summit can succeed in setting our difficult, complex relationship on a sustainable course. Robert Daly is director of the Kissinger Institute on China and the United States at the Woodrow Wilson International Center for Scholars.